You are thinking why in the world would you dig up this nice yard. We live in one of the most beautiful regions in the West. It is also one of the fastest growing areas in the country. With natural precipitation less than 5 inches during the April through October growing season, consideration of water use for our landscapes is very important. The water resources of our region are shared by all, and as such we each have a responsibility to use it wisely. 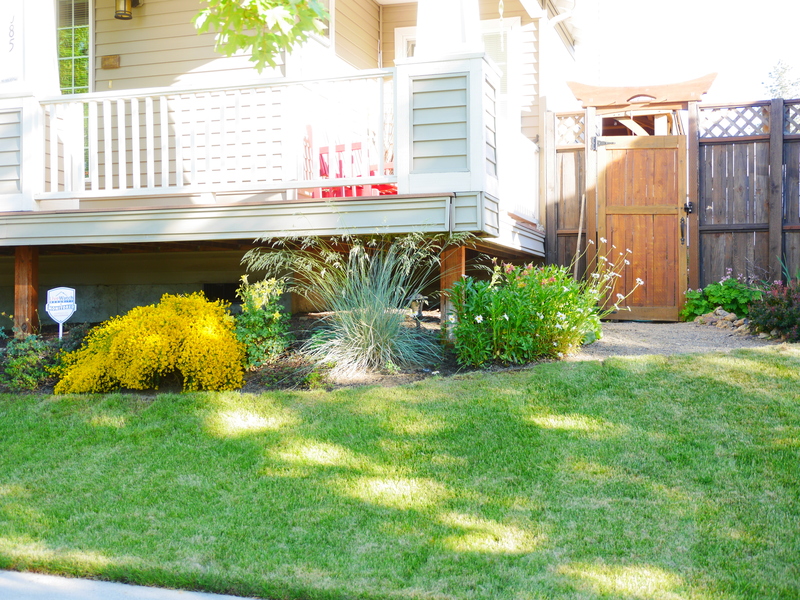 The typical resident uses over 50% of the water they use annually, outside for landscaping. Landscapes add value, beauty and livability to our homes and keeping them WaterWise is a critical part of being a good steward in this incredible region. We all need to become WaterWise partners in order to protect our water resources for our grandkids. So that said this is a daily recap of our personal journey to help our environment. Day 4: We Advertised on Craigs List free sod-within 10 minutes we had 5 people that wanted all of it. yay!!! 98 degrees today YIKES and a broken sprinkler pipe oh well! Day 5: Jeff is feeling better today as he does not have to haul off to the dump all of this sod and the cost would have been expensive. So far $0.00 expenses. Day 6: Rest Day, Jeff is bushed so stay tuned for removing the sod from the parking strip, possibly on day 7-see you then. Day 7: Oh we are not finished with sod removal yet, we still have the parking strip remaining. We started early as the weather has remained in the 70’s. The hard part today is digging the grass up around two maple trees which have tons of roots just under the service of the ground. Its a lot of work hand digging, we definitely would have rented a sod cutter but we just have to many roots, hope you can see the roots in todays pictures.